I waited until after Christmas to publish this post because, frankly, it is more than a little depressing. It would seem that the genocidal dictator and top contender for the title of most evil man in history, Joseph Stalin, is actually a hero in his native Georgia. Here is the story at Bloomberg News. Villagers in Georgia have restored a statue commemorating Josef Stalin, with residents of his birth town of Gori also considering plans to rebuild a monument to the former Soviet dictator. The statue, which was removed last year, was reinstated in a ceremony yesterday in Alvani, in the Akhmeta region north-east of the capital Tbilisi. Villagers gave speeches, recited poems and talked of “happier times” during Stalin’s reign. Stalin remains a divisive figure in his birthplace, with Georgian President Mikheil Saakashvili having denounced statues of the Second World War leader as a reminder of the Soviet Union’s control of Georgia. Saakashvili’s party was unexpectedly defeated by billionaire Bidzina Ivanishvili’s opposition coalition in October. Ivanishvili has expressed willingness to improve ties with Russia. “Long live Stalin, he liberated us from fascism and improved Georgians’ lives, while Saakashvili’s government did nothing but destroy the economic glory of Georgia,” Grisha Oniani, an entrepreneur who is collecting Stalinist memorabilia, told a crowd in Alvani. The Stalin statue was removed from Gori in 2010. Georgia’s parliament voted to ban Soviet symbols in 2011, 20 years after the country declared independence from the Soviet Union. Georgia and Russia fought a five-day war over the breakaway region of South Ossetia in 2008 and relations between the two countries remain tense. It is not as if Stalin showed any particular favoritism towards his native land while he ruled the Soviet Union. I found an extensive history of Georgia under Stalin’s rule here. There is quite a lot there and I can’t do any more than give a few highlights. 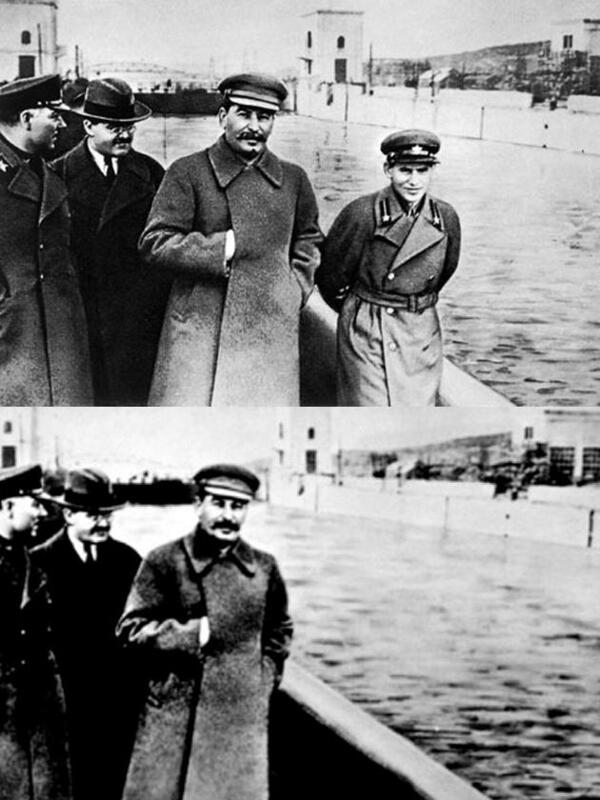 It is enough to say that the Georgians have no reason to honor Stalin. He was the worst thing to ever happen to that country. To start with, Stalin took a harder line on the trans-Caucasian nationalities than Lenin or Trotsky did. Lenin wanted to avoid a bloody conquest of the region, even if it meant leaving the Bolshevik’s rivals, the Mensheviks in power. Stalin wanted to crush an independent Georgia in order to destroy his personal enemies there. Stalin ultimately got his way in this. Stalin was also in favor of the “Russification” of the Soviet Union, promoting the Russian language and culture at the expense of the other nationalities, including Georgia. Stalin’s collective farming campaigns hit Georgia even worse than Russia and the Ukraine, as did his purges. Many thousands of Georgian died and many more had little choice but to flee to the woods and mountains and try to fight for their lives. The selection ends with this assessment of the most famous Georgian. Stalin’s death removed from the world stage the most formidable Georgian of all time, a man who combined almost superhuman tenacity and force of character with quite subhuman cruelty and criminality. He took over a Russia backward and divided, and pitchforked it forcibly into the twentieth century. By methods which cannot be condoned by any standards of human or divine morality, he fashioned the social and industrial springboard from which the Soviet Union today is leaping irresistibly forward as one of the two dominant world powers of our generation. It is a strange and inverted world in which this monster has a statues raised in his honor anywhere in the world.